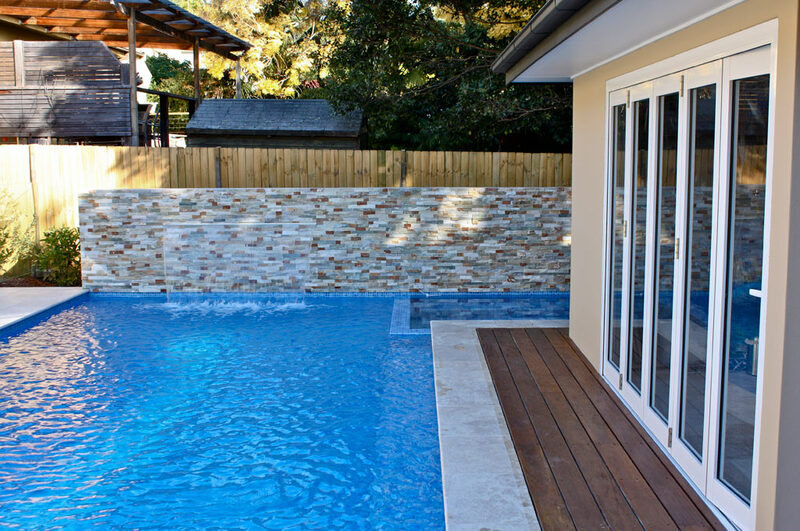 Surrounded by spacious timber decking and set beside an enclosed children’s shade area, this luxurious saltwater pool and spa facility is the ultimate family home addition. 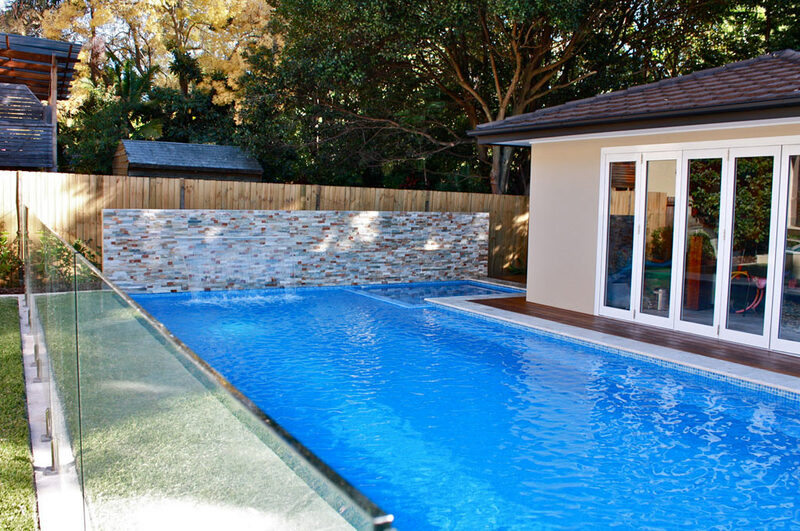 Features include fully automated heating and cleaning functions with touch screen technology, a stunning 1.8 metre long sheer descent water feature, and an extra long sitting ledge along the side of the pool. 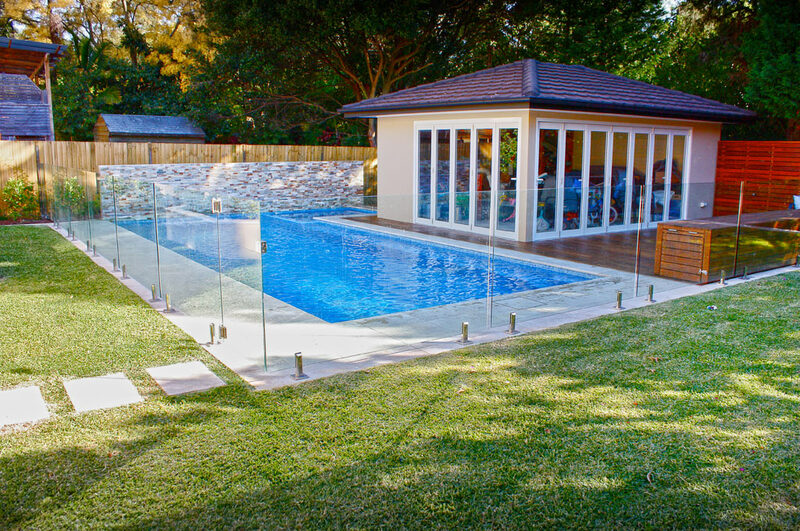 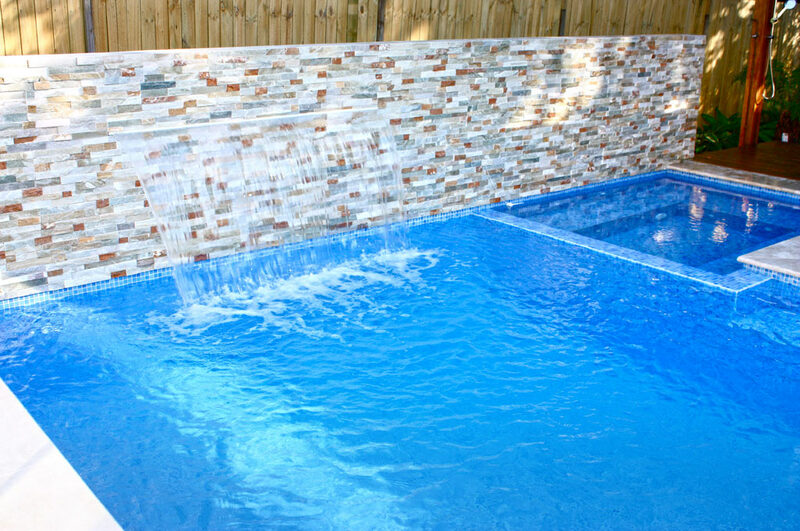 Travertine coping, Bora Bora glass mosaic tiles, blue-glass waterline tiles and frameless glass fencing create a stylish look that enhances the whole ambience of the space. 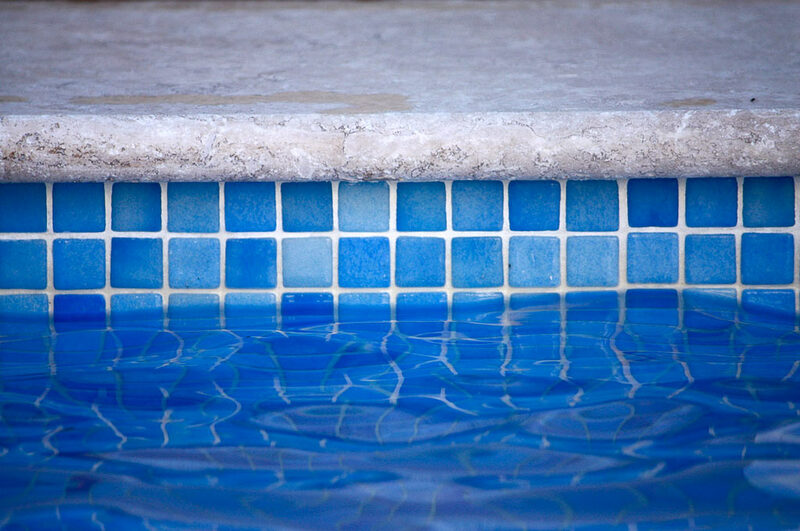 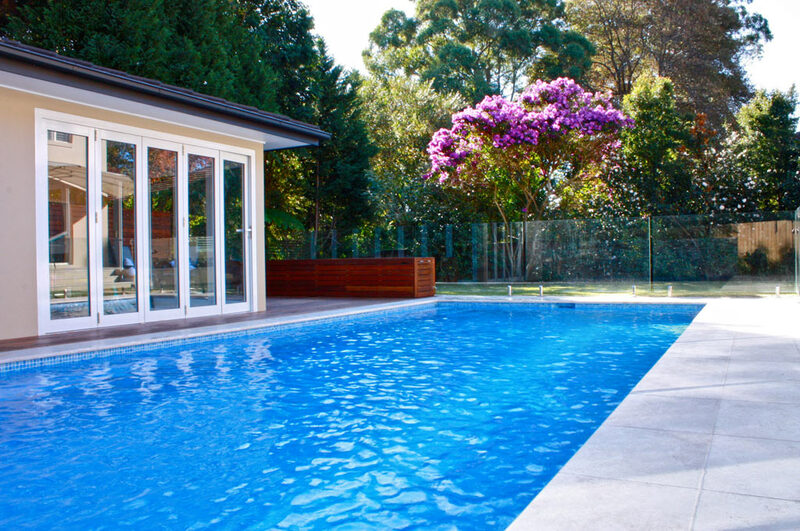 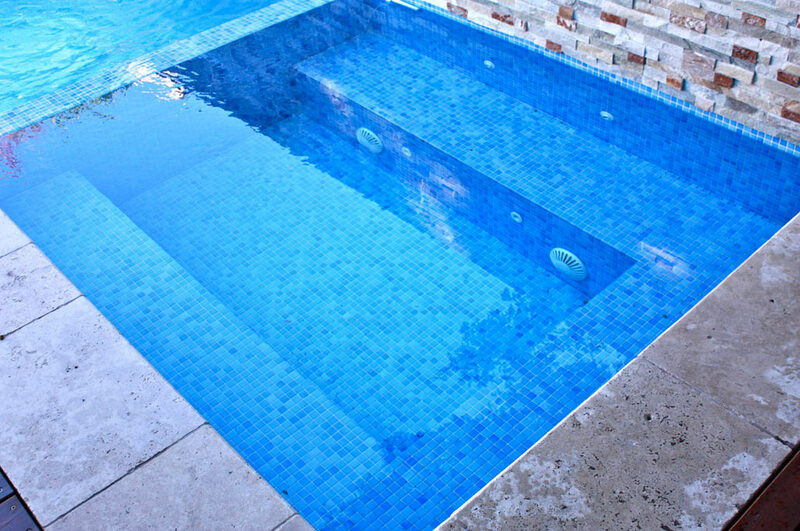 Though the saltwater pool and spa combination are visually seamless, the spa does not share water with the main pool, thus allowing for separate and more efficient heating. 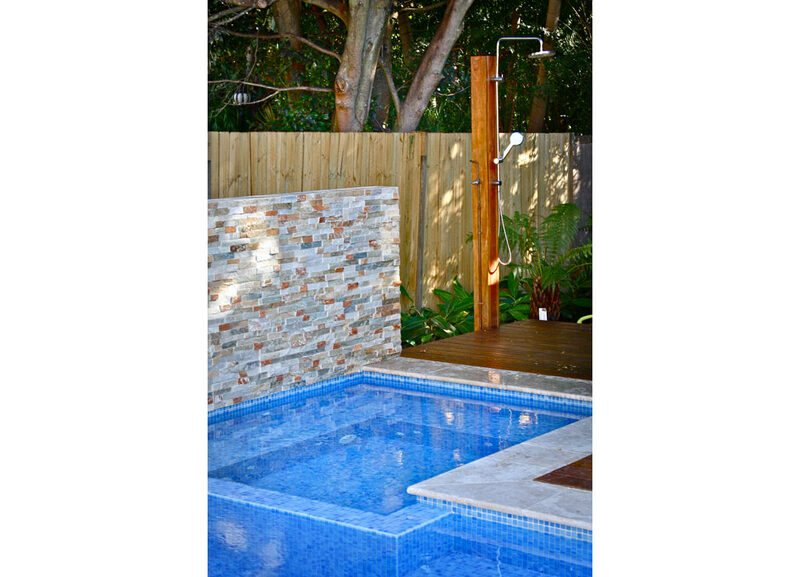 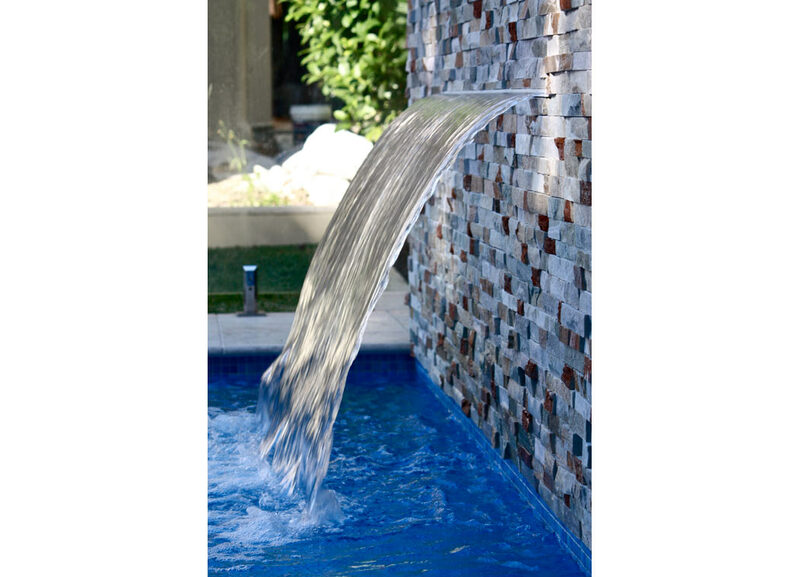 An outdoor freshwater shower adds further convenience and the level pool structure and walkway area provides for easy and safe movement of children.